I was interested in how the question implied that participants should consider the causality of behaviour, that is, what is it that causes people to act in a particular way. My immediate reaction was to assume that the student did have a choice, but this was more to do with my belief that free will is less problematic than determinism. For example, if we assume people are inherently bad or evil, it becomes very difficult to justify punishing them for behaving badly; legal systems assume that people have the ability to choose; when it is proven that this capacity is absent, we treat them differently (e.g. diminished responsibility). Equally curious are the often differing views taken of learning and behaviour within education, especially the kind of debate that arises on social media. 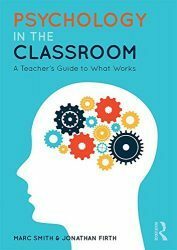 While many of us involved in teaching are interested in how the latest insights from cognitive psychology can help us to teach better and help our students learn more effectively, we prefer to cling to the behaviourist approaches of the mid-twentieth century in our attempt to control behaviour. We appear to be using cognitive psychology to understand learning but behavioural psychology to control behaviour. Philosophical navel-gazing aside… I thought it might be interesting to refer the problem raised in the Twitter poll to social psychology (or more specifically, a branch of social psychology known as social cognition). In his 1958 book, The Psychology of Interpersonal Relations, Austrian psychologist Fritz Heider wrote that we are all naïve scientists, attempting to attribute stable causes to underlying behavioural events. We can certainly see this in our own and others everyday language, perhaps attributing a behavioural quirk to something about the internal make-up of the individual or something about the environment. Perhaps we find ourselves suggesting that a certain person committed a hideous crime because they were mistreated as a child, fell in with the wrong crowd or was just a psycho(!). Equally, we might attribute working hard to something internal (such as personality or IQ) or something external (like a strict upbringing or protestant ethic). This attempting to discover why people do the things they do is generally known as causality, that is, attributing a cause to the behaviour we see in ourselves and others. Heider also suggested that we make the distinction between personal causality (behaviour that is caused by something about us) and situational causality (something in the environment that leads to people behaving in a particular way). This notion certainly fits with our common sense understanding of how we perceive the causes of behaviour, in that we might describe a behaviour in terms of a personality trait (she is shy/introverted; he is excitable/extroverted; isn’t she clever!) or a situation (it’s because he has lots of older brothers; it’s because she has very strict parents; he’s easily influenced by others). Even though our views aren’t always consistent, we do have a tendency to attribute a cause to something internal rather than something situational (although there are cultural differences). The general term for these types of ideas is attribution theory, and although I have written extensively about how we attribute the causes of our own behaviour, I haven’t written very much about how we attribute the causes of other people’s behaviour. The best place to begin is with the work of American social psychologist Harold Kelley (1921-2003). We tend to infer a causal relationship between events when one thing (a behavioural response) occurs in the presence of something else. If I placed my hand into a hot flame and then pulled it away quickly, we could assume that my behaviour (pulling my hand away) was caused by the flame (or rather the heat). Similarly, if I went to see a stand-up comedian and spent the evening laughing, we can conclude that the comedian was funny (or, at the very least, skilled). There could, of course, be other reasons why I laughed while in the presence of the comedian. I could have been watching videos of cats doing silly things on my phone or I might have inadvertently ingested laughing gas, although these might have been less likely*. Kelley suggested that we all make some kind of judgement based on the information available to us. This information includes the different possible causes of the behaviour (cat videos versus comedian) and the degree to which each condition covaries with the effect. If I still laughed when the comedian wasn’t present, then we could assume that it wasn’t the comedian who was making me laugh but, rather, something else. We can try to adapt this scenario to the question posed in the Twitter poll. This is, of course, a more complex situation than the comedian example due to the increased number of possible variables. What we do know is that the poor behaviour occurs in some lessons and not others, so we need to unpack the differences between the environments. These differences might include the teacher, the subject and the dynamic of the class (that is, different peer groups). If the behaviour still occurs in the absence of this particular teacher (let’s say that the teacher is replaced temporarily by another member of staff) then we can conclude that the teacher isn’t the source of the poor behaviour. What we can tentatively conclude is that the behaviour is likely to be external rather than internal, that is, something about the environment rather than something related to the students’ disposition. This is because the behaviour we are interested in doesn’t occur in all lessons. We would then have to discover if the behaviour continues within other conditions (different subject or different peer group). We, therefore, have three pieces of information needed for our first steps towards attributing causality: Person, entity and circumstances. Kelley suggested that there are also three other factors that can help us to determine causality (that is, the behaviour): Consensus, distinctiveness and consistency. Consensus would be low if only this student misbehaved in this particular class. Distinctiveness we know is low because our student doesn’t behave in this way in other classes. Consistency is high because our student always behaves in the same way, but only in this particular class. Taken together, this information helps us to establish the causal locus (or locus of causality). It can be thought of as a fairly naïve and unsophisticated hypothesis testing; we offer an explanation and then attempt to support it with evidence. Of course, in a more scientific study, we would add or remove numerous variables to see if the behaviour changed. A more convenient and less time-consuming way would be to move the student to another class with entirely new variables. If the behaviour still continues, we can cautiously conclude that cause of the behaviour is the specific subject. Although the above example has been consciously and overtly approached, this establishing of causality isn’t necessarily conscious (in fact it usually isn’t) and is often riddled with personal unconscious bias. Take a political decision, for example. If the political party you don’t support supported legislation to, say, reduce the voting age to 16, you would be more likely to take this as an underhand ploy to win the youth vote, yet if the party you were in favour of supported the same legislation, you would be more likely to argue that they were trying to give younger people a say in how the country is run. These views are so deeply embedded in the unconscious that we don’t even realise we’re making them. We sometimes witness this in decisions taken by the courts, in that those people from middle-class backgrounds are likely to be handed more lenient sentences for the same crime than people from poorer backgrounds. This can be explained in terms of causality, in that people from some backgrounds are thought to have made a foolish mistake while others are assumed to be hardened criminals in the making. The same has been documented in the sentencing of more and less physically attractive people. Indeed, we do have a tendency to underestimate the influence of situational factors on behaviour. As a result, we are more likely to attribute behaviour to a person’s internal qualities, such as traits and abilities, and ignore or downplay situational factors. This particular bias is known as the fundamental attribution error. This would suggest that choice isn’t necessarily wholly internal, due to the push and pull factors present in the environment. *The comedian example was first used by McArthur (1972). The cat reference is all mine, however. Previous Post Are you paying attention? Next Post Is Conscientiousness all it’s cracked up to be?